Single lever mixer complete with shower kit and wall bracket. 0.5 bar pressure recommended. Can be converted to bath mixer using 83848 . 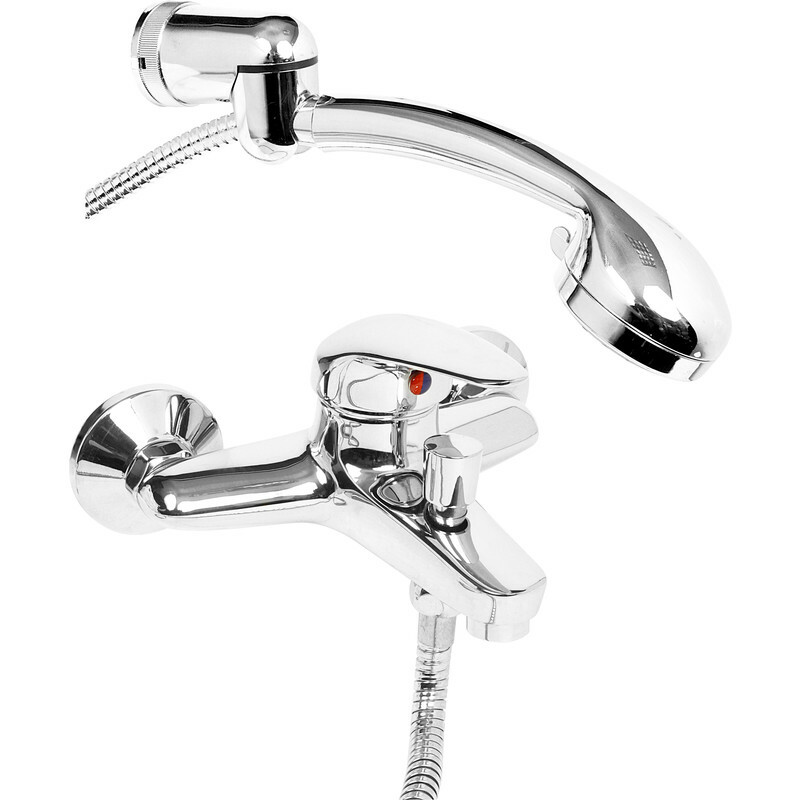 Barra Wall Mounted Bath Shower Mixer Tap is rated 4.7 out of 5 by 3. Rated 4 out of 5 by JoelG from Tap looks good The shower, pipe to the shower and shower holder are not long enough for a full height shower. I think they're designed to sit just over the tap. Rated 5 out of 5 by David 43 from Better than the Mixer tap that no longer worked. My Plumber told me to go to Toolstation and I am very pleased I did. Their speed of service and delivery was amazing.